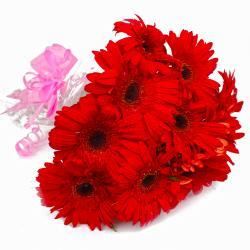 Product Consist : 10 Multi Color Gerberas with green fillers in Cellophane Wrapping with Ribbon Bow on it. 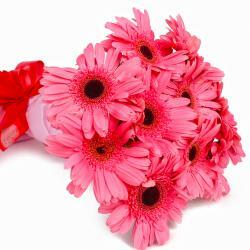 This gift pack will leave you spellbound with its collection of Mix Color Gerberas. 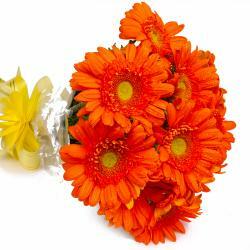 These Gerberas stand out for their sheer beauty and vivacity in equal measure. 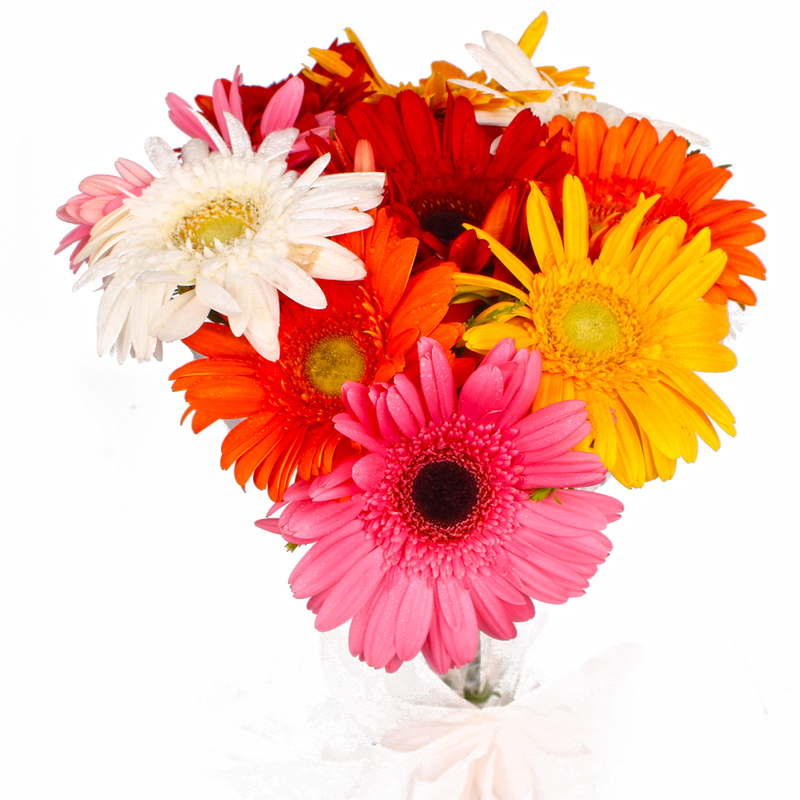 These ten mix color Gerberas come immaculately packed and arranged in premium and sophisticated cellophane paper while there is a matching ribbon bow on top for company as well. This lends a special dimension to this gift pack. 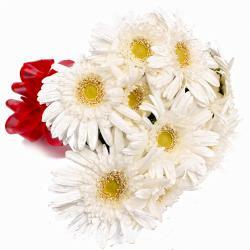 This pack is the best bet for special occasions like Birthday, Anniversary, Missing You, Ganesh Chaturthi, Boss Day and many of loved ones. 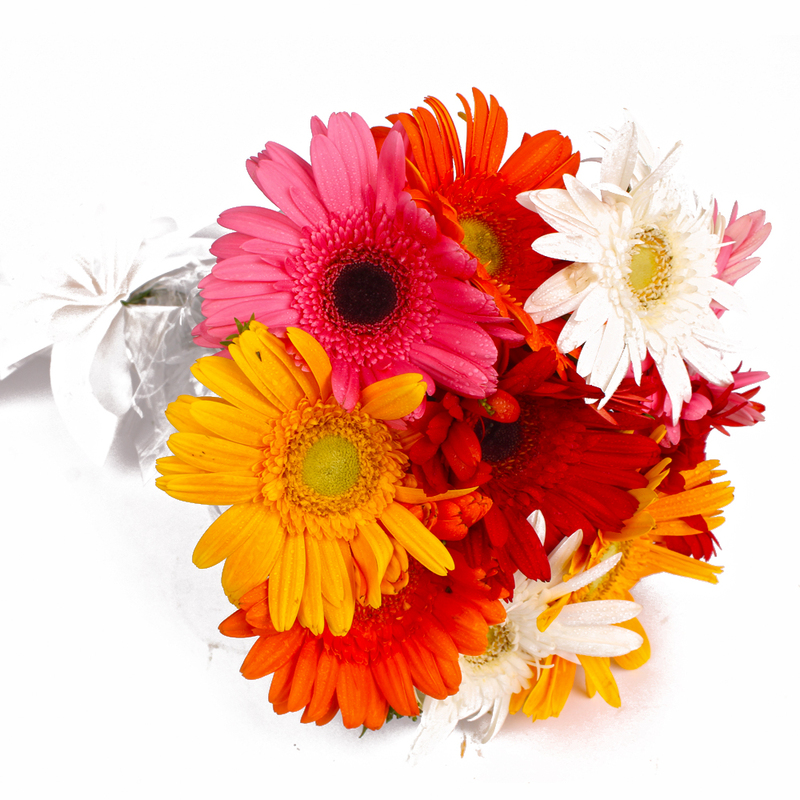 Product contains : Ten Multi Color Gerberas with green fillers in Cellophane Wrapping with Ribbon Bow on it.